Dennis O’Neill CBE has appeared for all the major companies of the world, specialising in Verdi and awarded the Verdi Medal by the Amici di Verdi in recognition of his work. His long association with the Royal Opera, Covent Garden, covered leading appearances in over two hundred performances centred around the great Verdian roles. In North America, appearances included the Metropolitan Opera, (LaTraviata, LaBoheme, Rigoletto, Aida, Turandot, Cavalleria Rusticana, I Pagliacci) the San Francisco Opera (Mefistofole, Il Trovatore, La Sonnambula) and Chicago Lyric Opera. (Capuletti e Montecchi). His extensive European career has taken him, most notably, to the Bavarian State Opera, Vienna State Opera, Paris Opera, Berlin State Opera, Deutche Oper Berlin, Arena di Verona, Rome Opera, Lisbon, Florence, Bologna, Marseille, Barcelona and Bolshoi Theatre on tour with La Scala. He was appointed Commander of the British Empire for services to Opera and many other acknowledgments include the Order of St John. Many commercial videos include Der Rosenkavalier (Solti), Verdi Requiem (Colin Davis), Macbeth (Sinopoli), Idomeneo (Mackerras), La Fanciulla del West (Slatkin) and Mefistofole live from the San Francisco Opera. Albums include several solo discs and full recordings of Boheme, Cavalleria Rusticana, Pagliacci, Aida and Turandot. He gives masterclasses internationally including Australia, New Zealand, Japan (National Theatre), and Italy (Solti Academy) Germany (Bavarian Staatsoper), Young artists programme at Covent Garden, and is a frequent juror at International Competitions, most recently for the BBC Singer of the World , Tchaikovsky Competition in St Petersburg and Vishneskaya competition in Moscow. This year will include International competitions in Milan and Hong Kong. 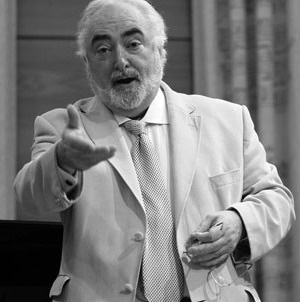 He is Founder and Director of the Wales International Academy of Voice, University of Wales, Trinity Saint David.